I am a total old lady who loves eating oatmeal! 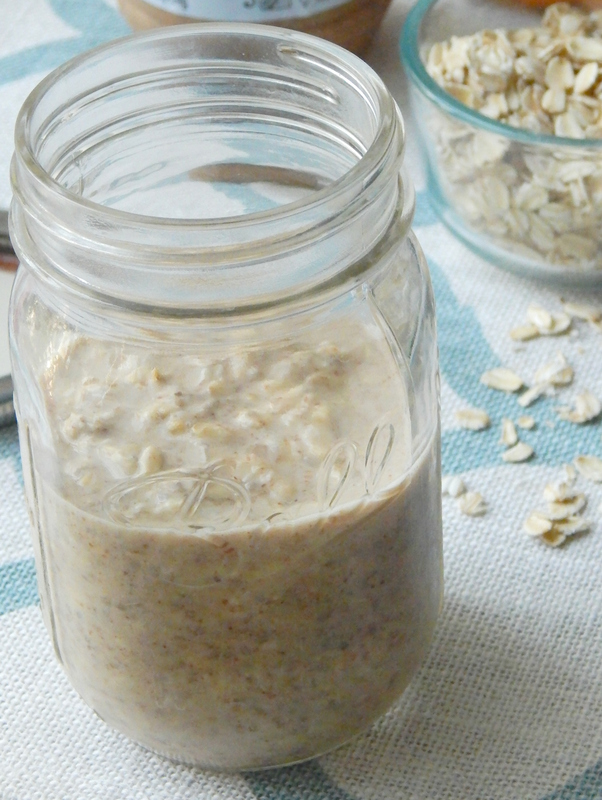 Okay, now that we have that out of the way, let me share this easy and yummy little overnight oatmeal recipe with you. The last couple of weeks I have been a part of an online fitness group with some of my friends for the month of May. We post photos of our workouts and healthy meals to inspire and motivate one another to live a healthy life. I enjoy these oats plain most of the time. They are awesome plain, but topping with fresh berries or other fruit is also a delicious way to customize your oats. 1. Add all the ingredients into a small container with a tight fitting lid. I use a mason jar, but you can use any container. 2. Close the container and shake to combine all ingredients. 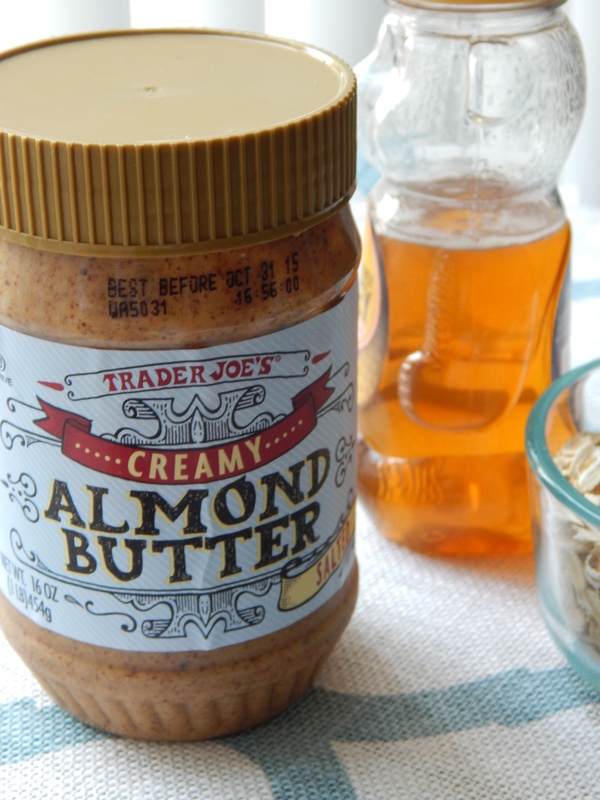 If the almond butter does not incorporate well, mix it with a spoon. 3. Place the container in the refrigerator, and refrigerate overnight. 4. Enjoy cold the next morning plain or topped with fresh fruit. • I use regular oatmeal not the instant kind. • I used white chia seeds, but black chia seeds are exactly the same. I buy the Mamma Chia brand at Target. • If topping with fresh fruit I prefer to add the fruit in the morning so it does not get soggy overnight. Yay I hope you enjoy it! 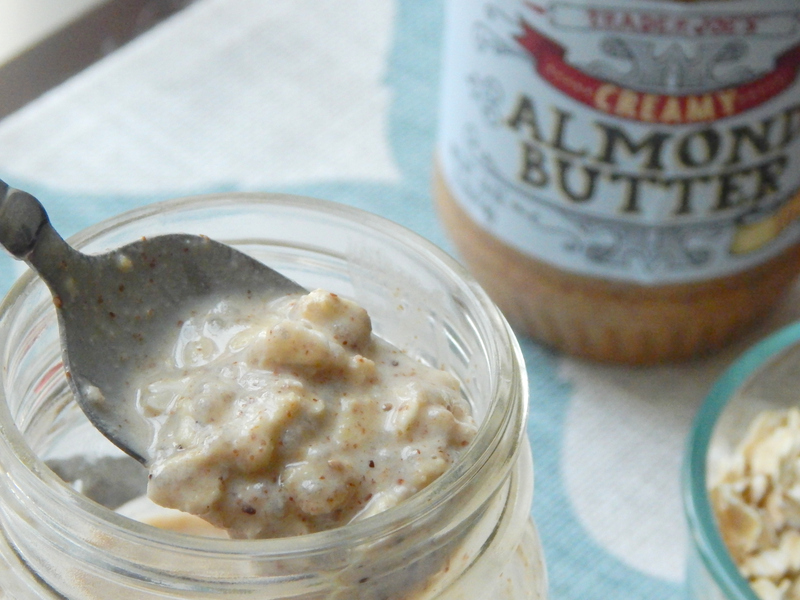 My aunt tried making it with steal cut oats… So just an FYI they don’t turn out well with that type of oats.